"This comes from the mouth of Abrams himself, addressing a group of attendees at a recent Hollywood industry event, the 2015 Visual Effects Society Awards… this is banquet season after-all. Apparently, his desire for secrecy does not apply in this case, as he openly expressed his frustration about the Episode VII leaks. Adamant about the project’s secrecy, Disney is reportedly taking Abrams’ request very seriously and is looking at a possible summer release. This would put Star Wars up against other giant franchise releases, namely Jurassic World and Avengers 2: Age Of Ultron." This would certainly be an intriguing development if true. Many fans were surprised when it was announced that The Force Awakens would be released in December and not in May, in line with when the previous six films were released. While it's highly unlikely Episode VII will be moving to May of this year(that's three months away), I suppose it's plausible that if production was going smoother and faster than expected, it could be moved up to a late summer release. But at this point it would be a very ambitious and risky move for Disney and Lucasfilm. It's not uncommon for film release dates to be changed, but at this point in the production it's more common for a date to be moved back, not forward. We'll just have to wait and see. So until further notice, we can still expect to see the seventh installment in the Star Wars saga, The Force Awakens, hit theaters December 18th! I'm calling this report BS. Why else do they want it out in December? So, it can have finished VFX and a great story. Omg i dont know why but I already have this prediction this could be so awesome !! Its not about the rushing thing. Disney can throw money at the movie to get things done faster. Money is not an issue. They will make a mountain as high as Everest on it. The point is that a winter release will not be good for business because of the cold weather. I dont think people would be to entusiastic to spend time waiting in lines to see the film while in summer time its not big deal. People would probably do the line once and be done with because its cold versus sitting outside with friends and doing it several time in the summer. A late summer release or early fall would be better for business than just before x-mas where everyone is busy buying gifts and prepare for the holiday season. It would do fantastic but not as much as a summer release. If this was released in late July, that would be almost 9 months since they finished shooting. It is doable. Titanic came out in December and it did fine. Cold weather did not slow it down. Is not something the studio has already consider. Disney should really release Episode VII around July instead of December. There is no reason for Star Wars to compete with Age of Ultron. Nothing will affect The Avengers. As long as Star Wars it's completed and they don't rush plans to let scenes without finish. Count me in. If they delay ANT-MAN to August and many will have a reason to go watch Star Wars Episode VII twice. I like this idea. It's going to be a Pandemonioum and an stampede greater than with The Dark Knight Rises. Mostly studios delay movies, but no one has marked a precedent by moving one forward. 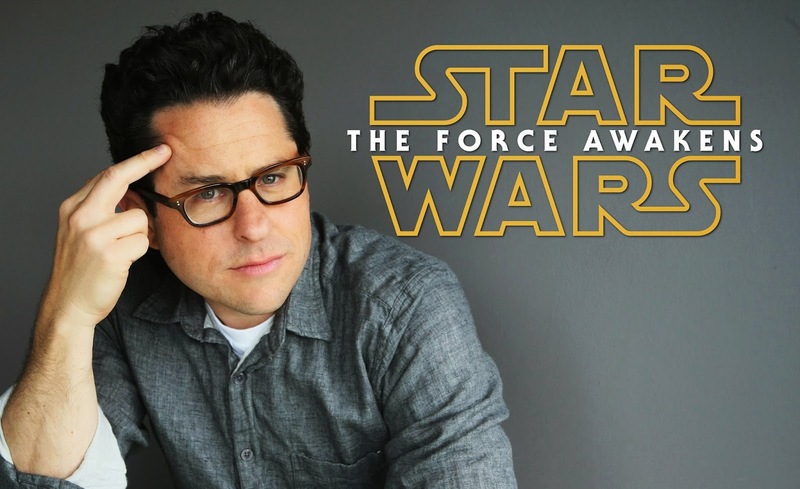 The release of Star Wars Episode VII The Force Awakens five months prior to the anticipated could be the second chapter of a documentary in Episodes VII. STAR WARS is not AVATAR and the reason James Cameron's masterpiece managed such financial success was because of the story and the remarkable visual effects, not the date it was launched. A lot could happen in 10 months. If you want to delay something it's the release of the official trailer. They should learn from the mistake of Revenge of the Sith and not release so many trailers with so much anticipation. I sensed it too! Bring it. I actually heard this rumor from a Lucasfilm friend last December. No kidding. I even posted that rumor up on the Cantina message board, but no one believed me. I think it was pretty common knowledge, at least in certain camps there (rendering), that Abrams and Kathleen Kennedy were leaning on Disney to push the release date to June or July, and that they needed to step up their schedule in the post-production departments.